Astro has appointed Merdeka LHS to manage creative duties for the upcoming 2018 FIFA World Cup Russia™, following a pitch held in January this year. The agency is responsible for managing an integrated creative campaign, which includes conceptualising the overall campaign idea, strategy and creative communications across all major platforms, such as digital, social media, mobile, TV, radio, out-of-home, on-ground activation and point-of-sale. A+M has reached out to Astro for comment. Yasmin Mokhtar, managing partner, Merdeka LHS, said the agency presented a holistic branding campaign built on data-rich creativity, offering insights on the different audience segments, behavioural analysis of each segment, and customised engagement strategies that will bring value to Astro’s business. She said that the agency’s proposition is based on “There is no experience like the FIFA World Cup™”and only Astro delivers this magic. “Since the last World Cup four years ago, the consumer journey has evolved dramatically and viewers are in for treat. There are more formats and platforms to enjoy the matches and for audience engagement,” she added. 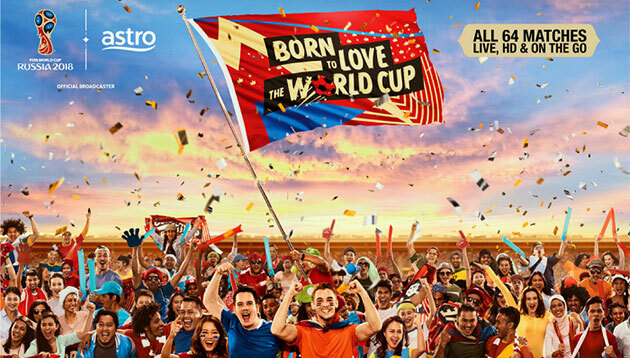 Astro is the official broadcaster of 2018 FIFA World Cup Russia™, which will take place from 14 June to 15 July. It recently launched a World Cup Channel Pass to enable audiences to tune in to the World Cup. DBS's campaign "Live more, Bank less' has kicked off in Hong Kong to celebrate its 50th anniversary, showcase simple banking and ..